Life is chock full of teachable moments, but sometimes it takes a four-legged teacher to reveal them to us. 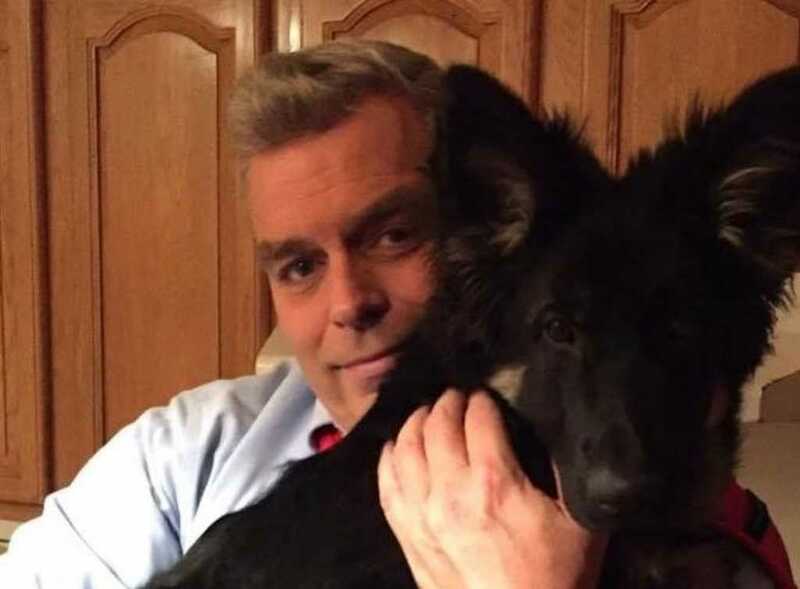 That has certainly been true for John Gray, a writer and anchor for WTEN-TV in New York who has authored two children’s books, both of which were inspired by experiences he’s had with his own pets. Gray’s first book, “God Needed a Puppy,” came out in 2017 after his 6-month-old dog Samuel died unexpectedly. Initially, Gray was just putting his thoughts down on paper — it was a form of therapy — but soon it became a story all its own. The book chronicles his own loss and offers kids going through similarly difficult situations the tools they need to face their tough experiences. Though eventually successful, the path forward for Gray’s first book was not always clear. One of the first publishers Gray approached told the newscaster his book had “so many problems,” chief among them his focus on God throughout the work. “The [publisher] said, ‘First of all, you’ve got God in the title; that’s gonna alienate half the people who would even buy a children’s book,’” he recalled. Unwilling to abandon the project, Gray decided to self-publish the book, expecting to sell a few hundred copies. But that’s not at all what happened. The kids’ book was so popular, he quickly ran out of his initial 8,000 prints and ultimately sold somewhere around 14,000 copies of the title. It wasn’t too long after that he finally connected with a faith-based publishing house, Paraclete Press. Gray said he wrote “God Needed a Puppy” as well as his forthcoming children’s book, “Keller’s Heart,” because he wants to help people by meeting them where they are and leading them to the faith they desperately need. Gray said he was “surprised” by the number of adults who were impacted by his book. The anchor said he’s met so many people who told him the children’s book helped restore their faith and finally brought them to a place where they could process the grief in their lives. As for “Keller’s Heart,” which releases Feb. 14, Gray said he’s learned so much from Keller, the abandoned blind and deaf dog he adopted a little more than a year ago, when he came across the disabled pup while he was volunteering at a local animal shelter. For this latest book, Gray said he wrote it with “all the people who are a little different” in mind.